Drive awareness of Lansinoh and reinforce the brand’s core values: caring, empowering and pioneering. The UK has the lowest breastfeeding rate in Europe despite well-publicised health benefits for mother and baby. Could the issue be cultural? Are we too hung up as a nation to encourage breastfeeding? We needed to get to the bottom of why. Breastfeeding in public causes embarrassment. In a study on society and breastfeeding, 50% of consumers surveyed said it made them feel uncomfortable, and this applied more to women than men. 1 in 3 people felt that lack of support for breastfeeding was a significant root cause of low rates of breastfeeding in the UK. Creating ‘Feed With Confidence’, a campaign to shape and influence opinion and inspire change. We developed a special TripAdvisor-style logo to recognise places in the UK where women can ‘Feed With Confidence’. 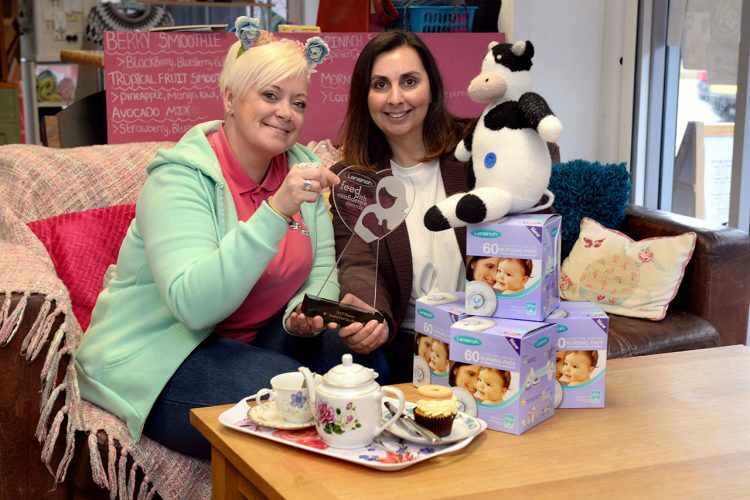 Establishing an award to recognise the best and launch it during World Breastfeeding Week, using statistics drawn from the research.